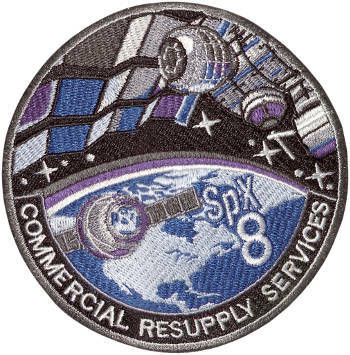 SpaceX CRS-8, also known as SpX-8, was a Commercial Resupply Service mission to the International Space Station which was launched on April 8, 2016, at 20:43 UTC. It was the 23rd flight of a Falcon 9 rocket, the tenth flight of a Dragon cargo spacecraft and the eighth operational mission contracted to SpaceX by NASA under the Commercial Resupply Services program. The capsule carried over 3,100 kilograms of cargo to the ISS including the Bigelow Expandable Activity Module, a prototype inflatable space habitat delivered in the vehicle's trunk, which will be attached to the station for two years of in-orbit viability tests.